A concerned dog owner knows about the importance of selecting the best dog shampoo. 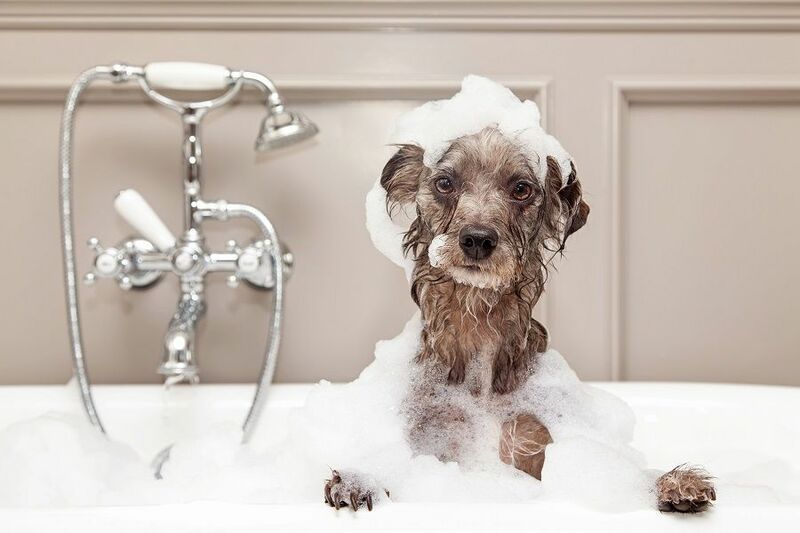 While many pet owners are keen to invest in the best dog food and worry about regular exercise, they undermine the importance of proper grooming. Investing in the right dog shampoo allows your furry friend to look his best, resulting in a lustrous and radiant fur coat. However, selecting the right shampoo can prove difficult, especially if your pet suffers from skin irritations and infections. In such cases, you will have to opt for a special medicated pet shampoo. 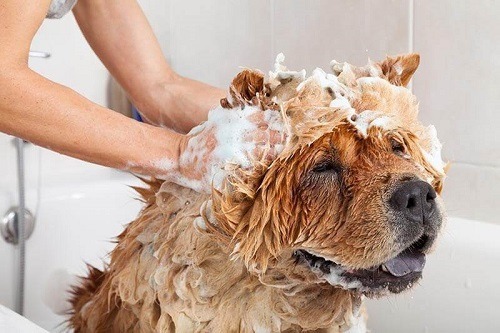 Rest assured, there are plenty of medicated shampoos in the market, hence you can easily choose one that is suitable for your pet. Douxo Chlorhexidine PS Shampoo is an effective anti-septic shampoo that is suitable for both cats and dogs. The lathering shampoo contains special moisturizing ingredients, such as phytosphingosine, chlorhexidine and climbazole, which play an active role for treating severe skin conditions. Potential customers should also note that the DouxoChlorhexidine PS Shampoo is a #1 Bestseller on Amazon. The product offers best results when used with the brand’s mousse and micro-emulsion spray. The shampoo contains anti-septic ingredients, such as climbazole and chlorhexidine, which wards off skin allergies and infections. It deposits long-lasting film that protects your furry pal’s skin against allergies and loss of moisture. Anti-Septic Formula - The Douxo Chlorhexidine PS Shampoo features an anti-septic formula that is beneficial for treating severe skin conditions in both canines and felines. Moisturizing Formula -The moisturizing formula rehydrates your dog’s skin, preventing it from drying out. 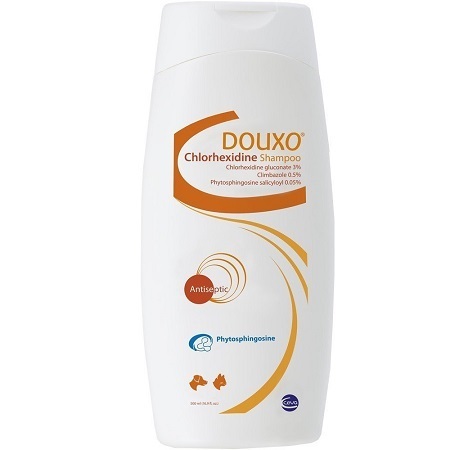 Effective for a Variety of Skin Conditions - The Douxo Chlorhexidine PS Shampoo is effective for preventing a variety of fungal and bacterial skin infections. The formula wards off seborrhea and pyoderma related skin conditions. Optimal Convenience - The dog shampoo allows pet owners to clean and treat their pets at the same time. This results in optimal convenience and reduces the need for you to take your pet to the vet and treat him in the comfort of your home. Multiple Benefits - Along with containing ingredients that help treat skin conditions, the Douxo Chlorhexidine PS Shampoo also has ingredients that will soothe and moisturize his skin. The shampoo is also great for pets that suffer from a reoccurring skin problem and prevents the condition from reemerging. The product is fairly easy to use and will allow your pet to look his best. Douxo Chlorhexidine PS Shampoo received an average rating of 4.7 stars out of 5 on Amazon at the time of this review, which means a majority of customers were satisfied with the product. 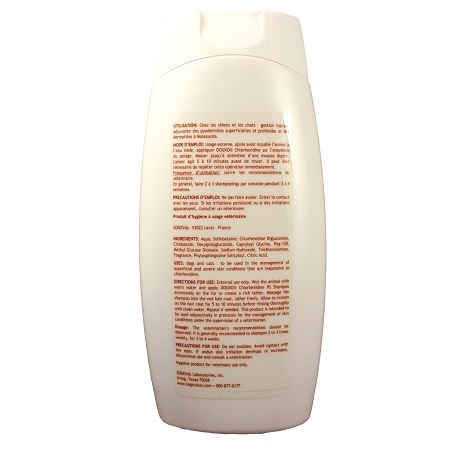 A customer wrote how the product works as a fantastic medicated shampoo and gets the job done. The shampoo contains several antibacterial, antifungal and anti-inflammatory agents that can be used for treating a variety of skin problems. A customer wrote how the shampoo is great for dogs that suffer from constant itching problems. The customer wrote how the product significantly reduced itching after the first bath. The customer wrote about the importance of following the instructions written on the box and said that itching has reduced by about 90%. The customer wrote how their dog’s fur is now soft and shiny without any scaly patches and open sores. The customer wrote pet owners must keep an eye on their pets and discourage them from rolling around in the dirt. Using the shampoo regularly will decrease hair loss, dandruff and itching. For best results, leave the shampoo lathered on your dog for 5 to 10 minutes, rinse thoroughly and use it around 2 times a month. Consider consulting a vet if you are not sure of how to begin treatment and want to invest in a medicated shampoo for your pet. A customer wrote how the shampoo also worked well for their pet that was suffering from a yeast infection. The pet owner used this shampoo every five days and was quite satisfied with the results. The Douxo Chlorhexidine PS Shampoo is unlike other medicated shampoos that dry out your dog’s skin after frequent use. The shampoo contains moisturizing agents that restores natural oils, allowing your dog’s fur coat to grow back thicker and healthier. Additionally, since the shampoo contains an anti-septic formula, it protects your dog against further infections that might damage his skin. Be careful not to get the shampoo on your dog’s eyes and nose. As for the downsides, a customer wrote the shampoo caused their dog’s skin to appear dry. To prevent itchiness and excessive dryness, use a conditioner after shampooing your dog’s hair. Additionally, a few customers were not satisfied with the packaging and said that it often caused the shampoo to spill out in large amounts. Overall, the product only received two or three critical reviews against several favorable ones and is a best seller on Amazon. The Douxo Chlorhexidine PS Shampoo can be purchased on Amazon for just under $25 with free shipping on Amazon Prime. To save money, consider looking for deals and discounts. Customers can visit Douxo’s official website if they want to learn more about the product. Apart from medicated shampoos, the brand offers a variety of dog skin healthcare products, such as emulsion sprays, mousses and shampoos. The brand is a member of the National Animal Supplement Council (NASC). Customers can rest assured the brand focuses on manufacturing high-quality supplements for cats and dogs. Overall, the Douxo Chlorhexidine PS Shampoo is a great medicated shampoo that cats and dogs can benefit from. The shampoo is specially designed for pets that suffer from severe skin allergies and conditions. The product has been recommended by several vets around the country and has helped thousands of dogs.